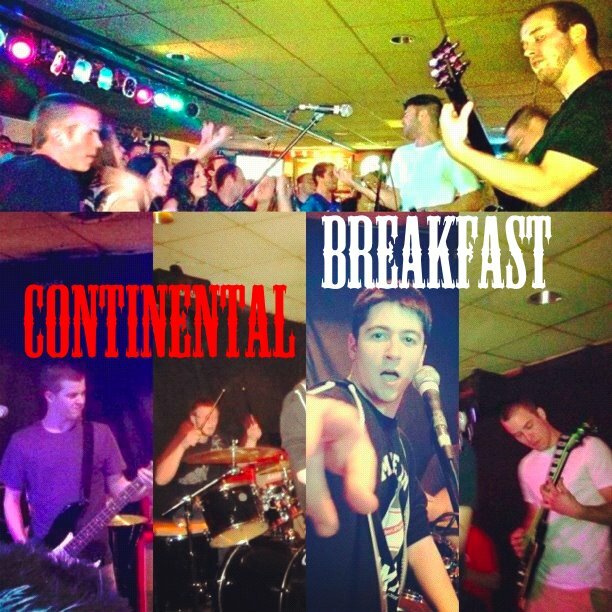 Continental Breakfast is a new local cover band that fuses the classic, modern, and funk rock genres. The band is comprised of Penn State students Carl Ballard (guitar), Matt Ruff (guitar), Tony Cedrone (vocals/guitar), Paul Smith (bass), Rob Fray (drums), and Mark Hewlett (vocals/keyboard). Don’t miss this talented group at the Darkhorse Tavern this Saturday, March 31, 2012, starting at around 10pm and have Breakfast for dinner!